The Pained Ink Slayer: Guest Blog: The Truth about Pain and Your Diet by Lynn Webster, MD , a leading physician and researcher in the pain community. Guest Blog: The Truth about Pain and Your Diet by Lynn Webster, MD , a leading physician and researcher in the pain community. A simple online search for “pain relieving diet” will result in listings from hundreds of companies and organizations, claiming to have cracked the code for a nutritional solution to chronic pain. While this would certainly be an ideal option for chronic pain sufferers, unfortunately, science doesn’t back the theory that diet alone can relieve chronic pain symptoms. Part of the support backing diet change for chronic pain relief is the belief that if you “eat well you’ll feel well.” In addition to this, many of the foods included in these pain relieving diets contain nutrients that are said to have natural anti-inflammatory properties. While these aspects of a healthier diet can help patients in pain, their ability to do so is limited. Research doesn’t support the idea that diet alone can relive chronic pain, but a healthy diet can certainly aid in process of finding relief. As with anyone, the cleaner their diet, the better a pain patient will feel. That being said, it would only make sense that feeding your body a diet of nutritious foods during your battle with chronic pain would boost your overall well-being a bit. However, diet change alone will not relieve the pain. What are the best solutions for chronic pain? The best solution for your chronic pain will depend on the severity, duration and complexity of your symptoms. Making an appointment with a skilled pain specialist in your area will yield the best results, as they will be able to create a treatment plan that is tailored to your unique needs for pain relief. Once you have received a personalized treatment plan for your pain, it is important that you follow it carefully to find optimal relief. Should you still take diet into consideration? While diet is not effective as a sole treatment for chronic pain, it is certainly a great supplement to a larger treatment process. Once you’ve consulted with a pain physician and developed a treatment program, talk to your physician about your current diet to see where improvement could be made. During this visit, you will also want to discuss your options for a safe and consistent exercise routine. In summary, although working with a physician to create a complete pain relief program should be your first step, developing a healthier lifestyle overall will help you build necessary strength for your fight against chronic pain. Lynn Webster, MD is a leading physician and researcher in the pain community. 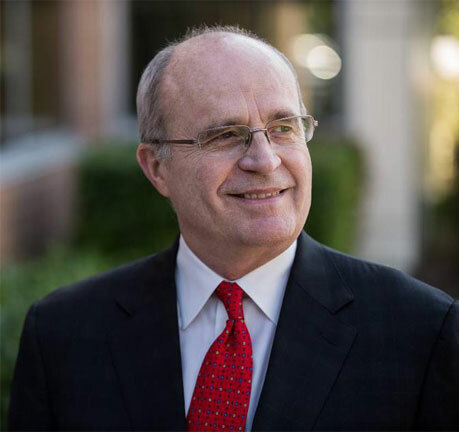 As Medical Director of CRI Lifetree and President of the American Academy of Pain Medicine, Dr. Webster dedicates his work to the development of safer and more effective therapies for chronic pain and addiction prevention. He is best known for developing the Opioid Risk Tool (ORT) and for his public campaign to reduce overdose deaths from prescription medications. Dr. Webster's blog as guest suggests changing our diet will not have much effect on pain its self and I agree there is no cookie cutter answer. If only there was we could throw away our medications, heat pads, ice packs and medical devices. However, like Dr Webster suggests, there are benefits to eating healthy. There will be tools for determining what is right for you. Certain foods have been linked to migraine for instance, but not all migraine patients are sensitive to the same foods. Just like in all the books I write, the next book, Broken Body, Wounded Spirit series (Spring) there will be tools for determining personal food ogres and I talk about Soy, the good and the bad. Not all soy is created equal. Due diligence is always in order.